Blog Skritter iOS Beta Preview! Earlier in the month, we started internally testing the 2.0 beta on iOS and the results are quite promising! I’ve been studying an average of 18 minutes per day with the app and really enjoying the experience. The writing experience, while not flashy, is smooth and enjoyable with raw squigs on or off. With the new design comes a slightly larger canvas and teaching mode— a way for you to learn proper stroke order the first time a character or word appears. Studying from your favorite lists is now in the quick settings menu on the study page. No more accidental advanced study sessions here. This is also where you can filter the parts you want to study, toggle audio on/off, and challenge yourself with raw squigs! The rest of the app keeps a lot of the old iOS feel with some much needed visual updates. 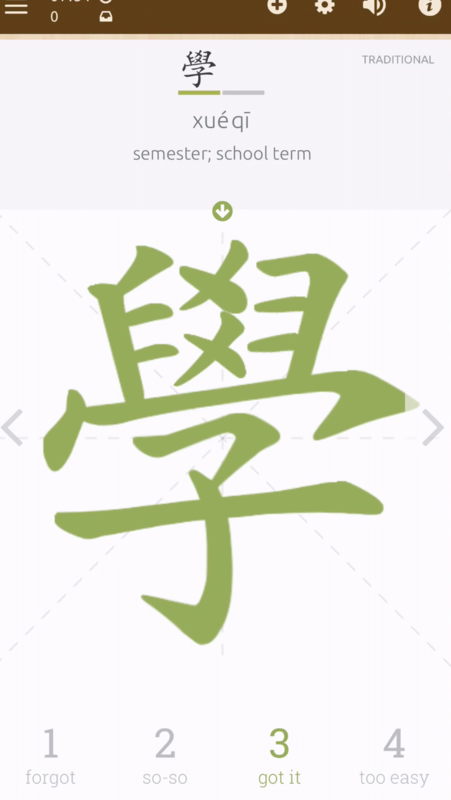 Japanese users should be excited for the ability to (finally) write kana while studying! Soon. We’re still working up a few features up and giving the app another round of polish. After that, we’ll push out a Test Flight build with instructions for joining the beta. We can’t wait for you to try it out! We look forward to continuing to improve the app with your feedback. Stay tuned for more updates!